John Podesta arranged a meeting with astronaut Edgar Mitchell to discuss the US government disclosing information to the public on aliens, according to emails leaked by WikiLeaks. The meeting was described as a prelude to involving President Barack Obama in the discussion. The former astronaut, who died earlier in 2016, had communicated with Podesta via email before, warning him of an impending space war as well as Vatican knowledge of extraterrestrials. 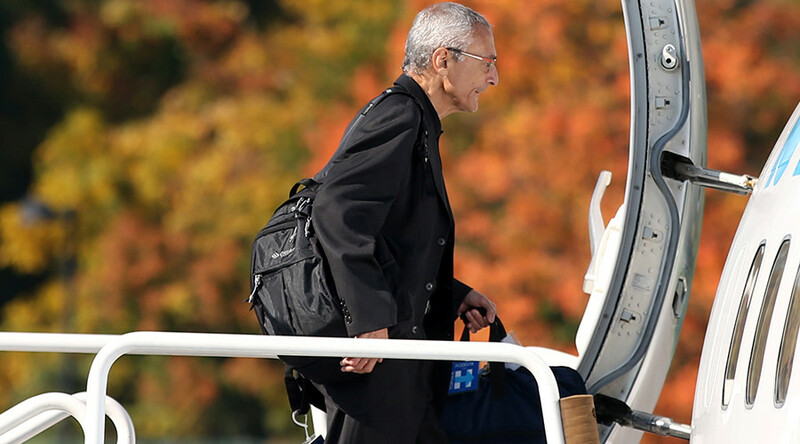 Podesta, who is heading Hillary Clinton’s presidential campaign, is known for his UFO fervor stating earlier this year that he had convinced Clinton to declassify UFO files if she takes power. In 2002, he openly advocated for the public release of documents on Area 51. In the latest batch of emails released by WikiLeaks, Podesta was asked by author and Apollo museum curator Robert Fish to discuss how “hard scientific data” can be collected on UFOs. “Based on significant personal experience, I can attest that UFO hunters are looking in the wrong places.” Fish told Podesta in the 2015 mail. Podesta declined to meet with Fish, but said he will keep his contact information.